Let me introduce you all to this week's dishy: the Pow-vlova, made by me! Named so because it involved some of my favourite "P"-fruits: papaya, pomegranate and passion fruit. I still can't believe I made this. This week, I was invited by Microsoft Devices to do a little cooking and food styling [yes, apparently that's a thing and a verb now] at the famous Leith's cooking school. An opportunity I could not turn down. 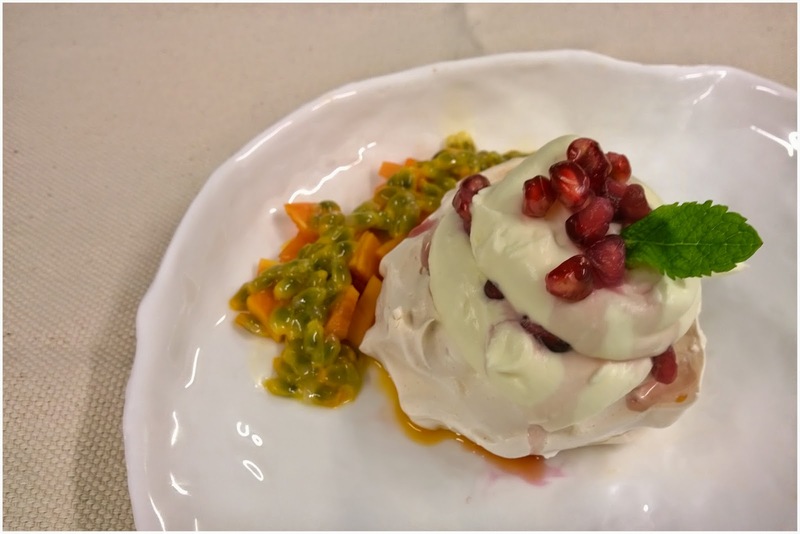 I learnt how to make meringues for the first time [SO HAPPY], and I spent a long time dicing papaya six ways, deseeding pomegranate and passion fruits to make it as pretty-as-possible for you all. The dicing was worth it, I hope you guys think so too. More to come soon on my adventure at Leith's but for now please stop salivating at my Pow-vlova. Thanks. Hope you're all having a super week!